SNOE is back with one last huge release from Argentinian DJ and producer Adrian Hour before the New Year sets in. 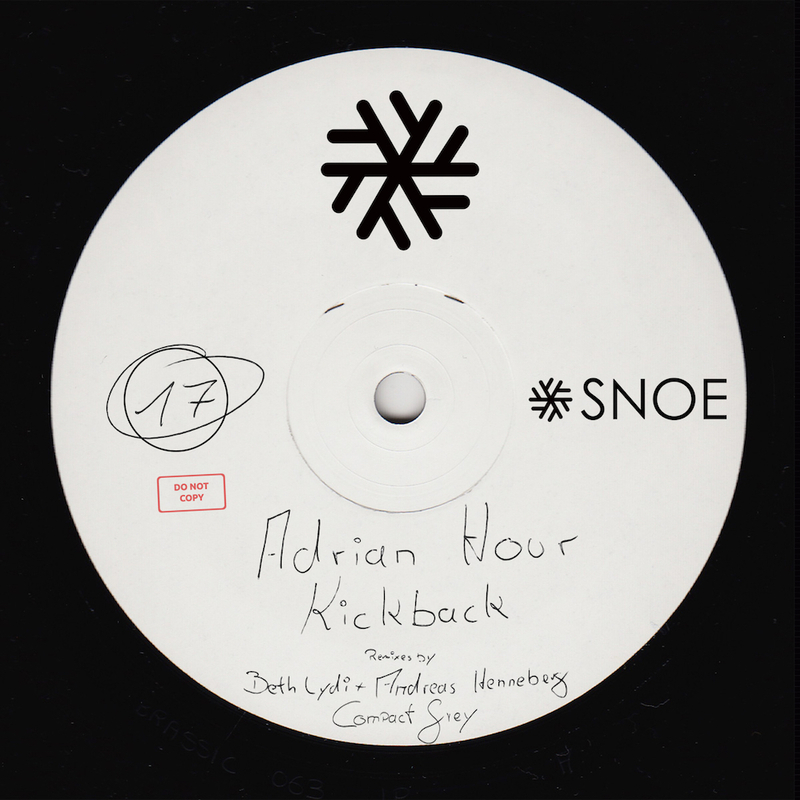 After his very successful remix for Beth Lydi’s “Jump The Couch” which was played by artists such as Sasha, Mark Knight and Dave Seamen, Adrian Hour returns to SNOE with “Kickback”. The original track is nothing short but a groove monster. A skillfully crafted track building up to a massive momentum exploding in the power of drums and synths, mixing a euphoric atmosphere with the darkness of the clubs, all ready to set the dance floors on fire. Labelbosses Andreas Henneberg & Beth Lydi were not able to keep their hands off this one and got together to do a remix again. They are both considered to be bassline freaks, and this shines through as the dominating strength in the remix, funking the whole thing up a bit while keeping the original power. After his hard-hitting releases on SNOE, Compact Grey joined in on the “Kickback” fun and did his own interpretation of the track. In true style it rolls and bounces with perky percussions as the frame for original elements. There is no holding back when this track gets started. With this EP there is only one way moving, and that is forward in pure tech house bliss. Enjoy SNOE nr. 17!